Relevant & Exciting Bible Curriculum! "Picked Out For A Purpose"
"Do It For The Cause"
A Few Units are highlighted below. 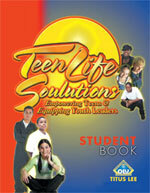 Picked Out For A Purpose helps teens to realize that they are on earth to fulfill their destinies. These lessons empower them to direct their energies and passions toward their purpose! They also learn how to avoid life-distractions and fulfill their assignments! I Don't Come Cheap helps teens to understand their value. These lessons highlight how to distinguish the difference between sexcess and success! They also learn to set boundaries, feed their minds with the right stuff and to treasure their bodies. Give Me My Props equips teens to properly engage with their leaders. They learn that submission and humility can lead to great oppurtunities at home, at school, in athletics and on their jobs! They also learn to honor and esteem those who are in authority! Get Off The Edge empowers teens to face and overcome anger issues. They learn that anger is a tool that should be used for construction and not destruction! They are equipped with strategies on how to handle rage, resentment and violence-issues!